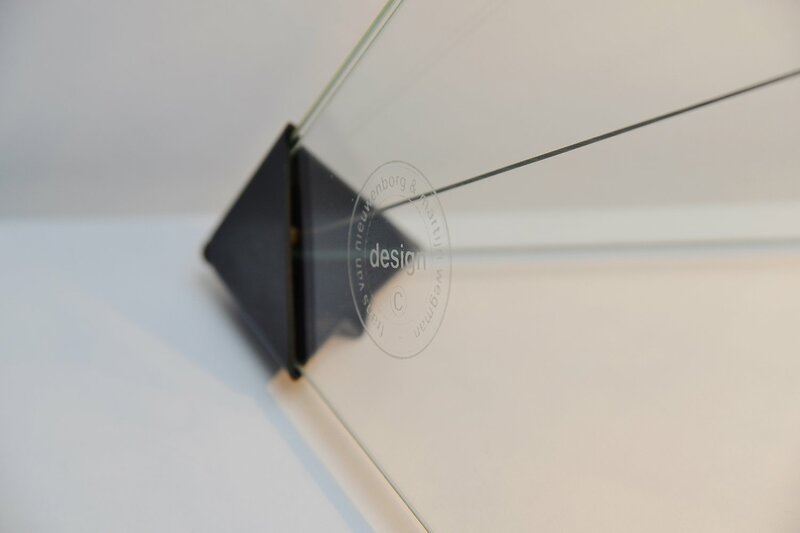 Amazing table/floor lamp designed by Frans van Nieuwenborg & Martijn Wegman for Indoor 1979. 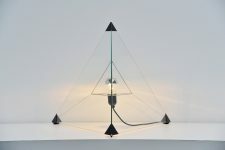 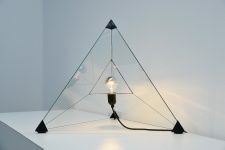 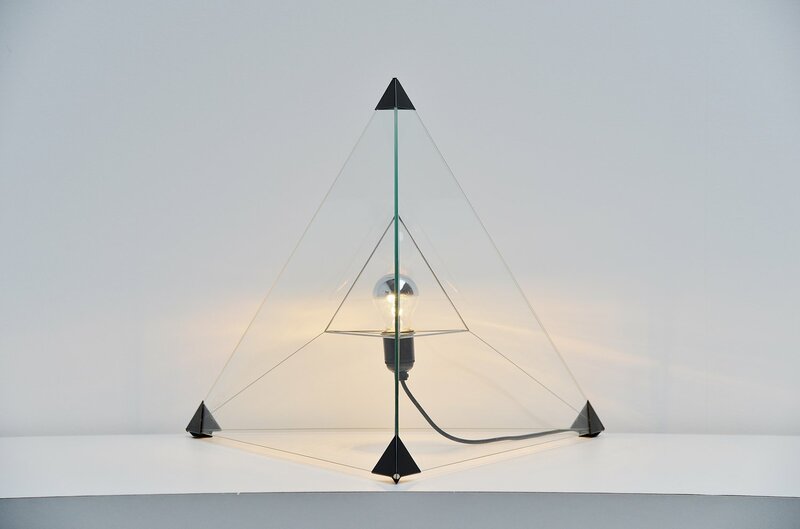 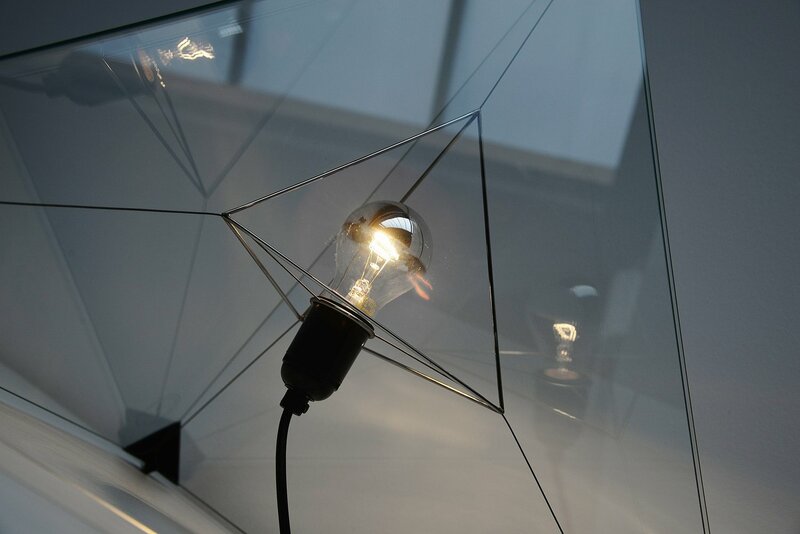 This amazing lamp exists in 3 triangle shaped glass plates supported by the black plastic ends and the metal wire inside. 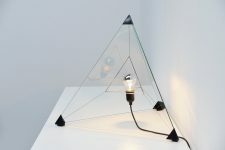 Its an ingenious system and it looks like the bulb is floating in the middle. This is a fantastic lamp and is no longer in production. This lamp is in excellent condition without damages. Works perfectly. 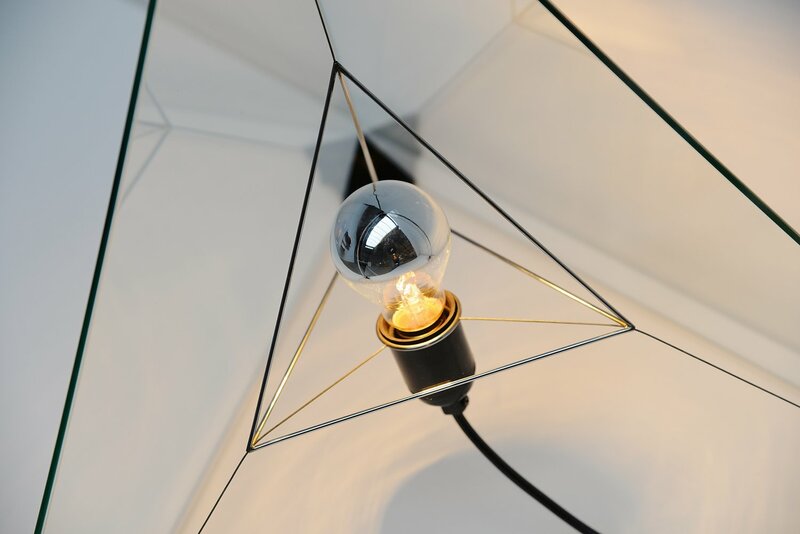 This lamp gives very nice and warm light when lit.